“Shukran.” If there’s one Arabic word you absolutely must learn before visiting Jordan, this is it. It means “thank you,” and it will come in handy dozens of times every day, because the Jordanians are an EXTREMELY generous people. 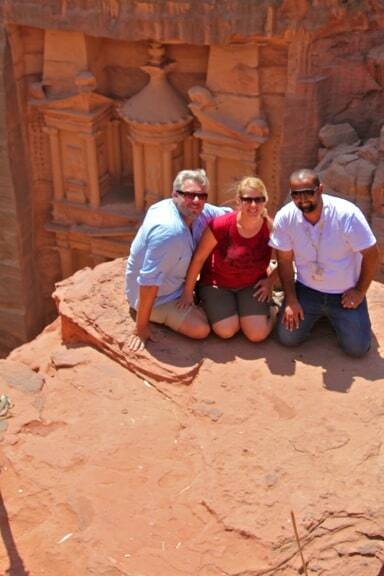 We learned the word (and so much more) from our exceptional guide, Ali Abudayeh, on our first day in the country. Ali, a charmingly laid-back 20-something from the town of Az Zarqa, would always respond to our gratitude with a warm smile, saying “You are most welcome.” Which, in our experience, could very well be Jordan’s official tourism slogan. 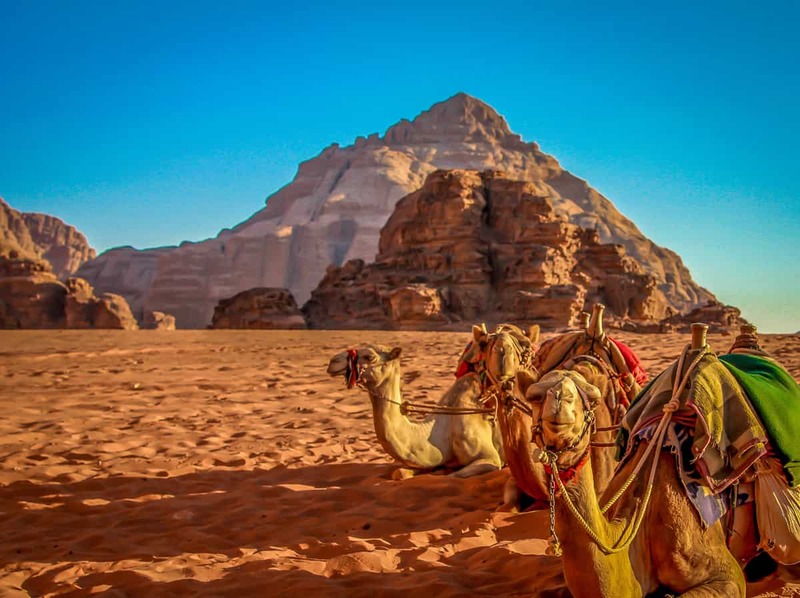 In the travel business, Jordan is renowned for its forward-thinking social media strategies and eagerness to work with bloggers. But, to those outside our sphere, it’s just another country in the Middle East– a region the corporate news media frequently portrays as hostile, fraught with turmoil and violently opposed to Western culture in general and America in particular. When we announced we were heading there, we received numerous messages from friends and family concerned that we were putting ourselves in an inherently dangerous situation. But, after 10 days in Jordan (many of which were spent very near the borders of countries such as Syria, Iraq, Egypt and Saudi Arabia), I can say that Jordan is safe, and I felt more welcomed there than I often do in America. We could all take a few tips from Jordanians when it comes to hospitality. Ali explained a Bedouin tradition in which, if a stranger lands on your doorstep, you’re expected to provide food, water and shelter for 3 days, with no questions asked. On the third day, they ask how they can help you: if they can help, they’re obligated to do so, but if not they send you on your way. 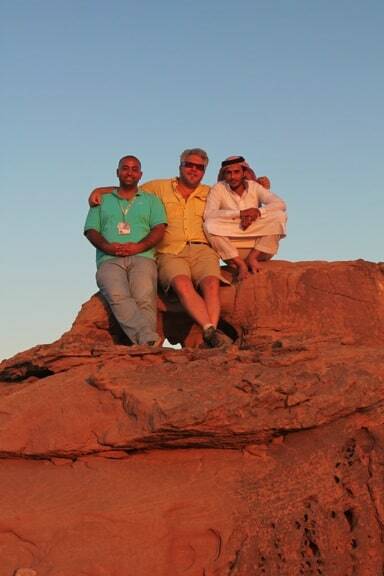 Though the Jordan Tourism Board ensured that we never lacked for anything, we nonetheless found the nation’s citizens to be remarkably gracious hosts. On our second day in the country, we stopped for lunch at the home of Tahseen Amer in the town of Azraq, right down the street from the black basalt fort where Lawrence of Arabia famously stayed during the Arab Revolt of the early 20th century. As we sat on colorful floor cushions and dined on Kabseh (a chicken and rice dish with almonds and black pepper), we learned that Jordan has a remarkably open immigration policy for refugees from the conflicts in Syria, Libya, Egypt and elsewhere in the Middle East, and that Amer’s family was of Syrian and Lebanese descent. Amer was full of nationalist and religious pride, with Jordanian flags, quotes from the Koran and photos of Jordan’s King Abdullah II bin Al-Hussein on the walls of his living room. But unlike American nationalism, which can often feel like exclusionary “We’re #1!” braggadocio, Jordanian pride seems to come from a place of welcoming communal spirit. Wherever you go, you’re made to feel like a member of the family. Arguably our favorite of Jordan’s cultural traditions was Bedouin tea, which takes the British notion of “tea time” to a whole different level. Where in America you might meet someone new and immediately exchange business cards, in Jordan it seemed as if everyone you meet offers you tea in the spirit of fellowship. We had Bedouin tea spiced with fresh mint at the ancient Roman ruins of Jerash. We drank tea and smoked “Hubbly Bubbly” (flavored tobacco) from a hookah with a young Bedouin named Maher al-Bdool at the top of a mountain overlooking the famous Treasury in Petra. We even drank Bedouin tea with sage cooked over an open fire in the middle of the Dana Biosphere Reserve, where our naturalist guide Mohammed Difalla ran into a shepherd friend of his father’s named Muhammad Aoran. Even the poorest of Bedouins seemed to have tea-making supplies on hand at all times, and one of our favorite Jordan memories is of playing with Aoran’s donkey, drinking tea and sharing snacks (he had pita bread, we had protein bars and apples) in the shade from the harsh midday desert sun, miles from any signs of civilization. 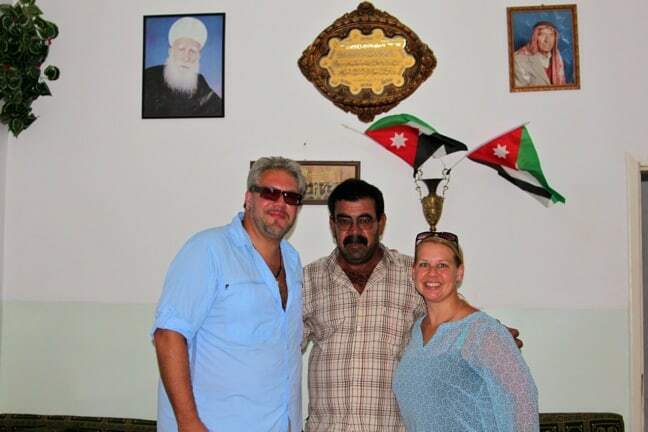 There is this terrible, often-perpetuated notion that people in the Middle East hate Americans, but in Jordan we found people were delighted to learn we were from the U.S. and eager to engage in open-minded discussions about life, culture, politics, religion and any other subject we cared to bring up. Jordanians are highly educated– nearly everyone we met spoke English fluently– and spoke of their issues with their own government just as a readily as we spoke of issues with the regrettable foreign policies of the Bush era. They spoke honestly of their issues with those policies, but clearly blamed the politicians and not the American people. And, for what it’s worth, their opinions of America in general seemed to have improved greatly with President Barack Obama in office. Even people who had no idea we were journalists, from shop owners and fellow travelers to Petra horse carriage guide Abdallah Al Hassant, greeted the revelation that we were Americans with warm smiles (Al Hassant even offered us a discount on our previously agreed-upon price for a ride to the Petra entrance). 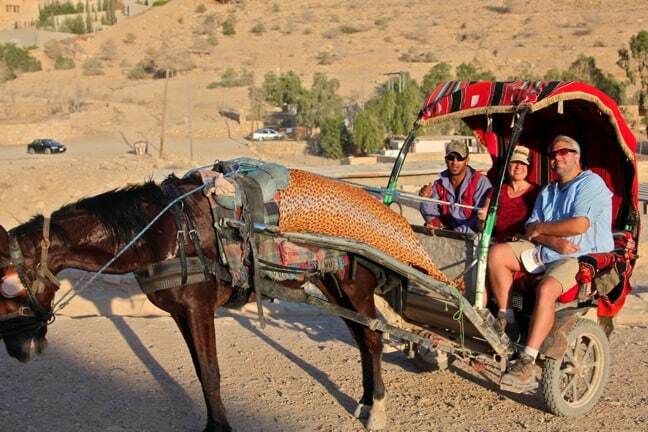 They seemed impressed that American travelers would venture to the Middle East, and genuinely curious about our lives, customs and impressions of Jordan. Everywhere we went, Jordanians were eager to extend a hand of welcome and peace, providing a stark contrast to the culture of fear propagated by the mass media and the corporations/politicians who stand to benefit most from continued military action in the region (war, after all, is EXTREMELY profitable). Much like sharks, wolves and any other number of species that have been demonized by Western mythology over the centuries, the Middle Easterners we met exhibited absolutely no animosity or aggression towards us; only curiosity and a willingness to engage where mutual respect was on offer. Thanks to the increased financial burden of refugees and lower tourism revenues, the nation’s economy has been hit extremely hard by the Middle East instability surrounding last year’s Arab Spring uprisings. There’s no doubt they would greatly benefit from more open-minded Americans exploring their country. And, with more than 50% of Jordan’s population made up of Palestinians, they could seriously benefit from a bit more political support from the U.S. as well.